Why Republicans called off talks to stabilize Obamacare. The cynical reason why Republicans called off bipartisan talks to stabilize Obamacare. Sen. Lamar Alexander, pictured on Capitol Hill on March 28, had to be shut down. 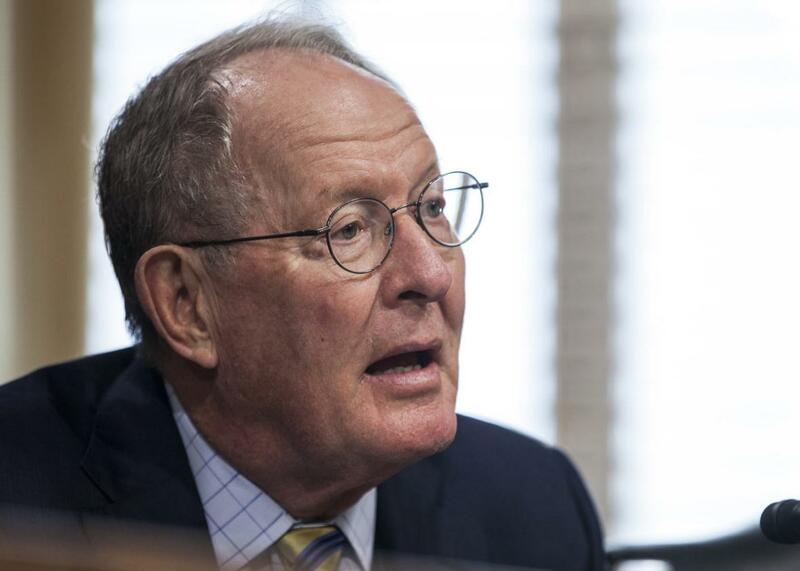 On Tuesday evening, Sen. Lamar Alexander—chairman of the Senate HELP Committee—released a statement declaring that his bipartisan negotiations on a narrow Obamacare stabilization bill had failed. But the ranking member of the committee, Washington Sen. Patty Murray, did not seem to feel that the talks were quite so doomed. In recent days, she had even “made some tough concessions to move in Chairman Alexander’s direction when it comes to giving states more flexibility,” she said in her own statement Tuesday night. In other words, she had agreed to let states loosen some of Obamacare’s regulations, which had been the major sticking point in negotiations. When Murray’s concessions—ones that would not have gone over splendidly with the Democratic base—were first announced Monday night, I had speculated that Senate Republicans’ sudden, last-minute push for the Graham-Cassidy repeal bill was a play to get more leverage over Democrats on the stabilization bill. But that underestimated the commitment Republicans had made to Graham-Cassidy, or overestimated their commitment to finding a bipartisan solution. By folding the bipartisan talks, even when they had Murray on the run, Republicans are actually making a leverage play against members of their own caucus to get them on board with Graham-Cassidy. Republicans killed the bipartisan negotiations to box senators like Alaska’s Lisa Murkowski and Arizona’s John McCain into supporting Graham-Cassidy. So long as the stabilization talks were alive, McCain and Murkowski, who have each called for replacing Obamacare’s flaws through the Senate’s regular process and on a bipartisan basis, would have had a fallback option on fulfilling health care promises. The stabilization bill and Graham-Cassidy weren’t technically competing proposals—the former would address individual markets in 2018 and 2019 while the bulk of the latter wouldn’t snap into place until 2020—but they were treated as such politically. On Sunday’s Face the Nation, McCain directly contrasted the two approaches. “Are we going to ram through our proposal? That’s not the way to do it,” he said. “The way to do this is have a bill, put it through the committee. We have Patty Murray and Lamar Alexander doing fine. Bring it to the floor.” And when I asked Murkowski what was next on health care when the repeal effort (seemingly) died in July, she told me it needed to go to “the committee room, where it should have started in the first place.” The Alexander and Murray negotiations were McCain and Murkowski’s best option for showing to voters that they were serious about repairing individual insurance markets even if they weren’t willing to go along with repeal. And that’s why leaders had to shut it down. It wasn’t just Lamar Alexander or Senate Majority Leader Mitch McConnell, either. Politico reported on Monday that both House Speaker Paul Ryan and the White House informed Senate leaders that they opposed the Alexander-Murray negotiations. The justification from House aides was that the speaker believed his chamber “would not be able to pass a bailout of insurers.” (A translating tip for the foreseeable future: When Ryan says that his chamber won’t be able to “pass” a bipartisan bill, he’s really saying that he’s not willing to call up said bipartisan bill, since it would anger the conservatives who’ve been plotting a rebellion against him.) With its path beyond the Senate foreclosed, Alexander called off the process on Tuesday night. The scrapping of stabilization talks is a way of telling hesitant members of the Senate Republican conference that there is no out for them. They’re either with Graham-Cassidy or they’re with the socialists. It’s not a pleasant position for a Republican to be in.